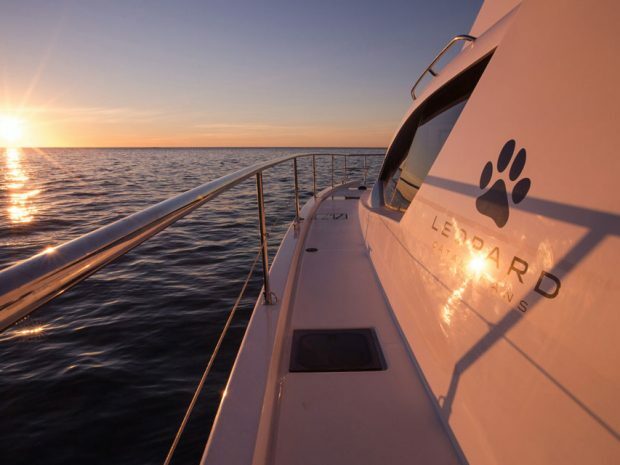 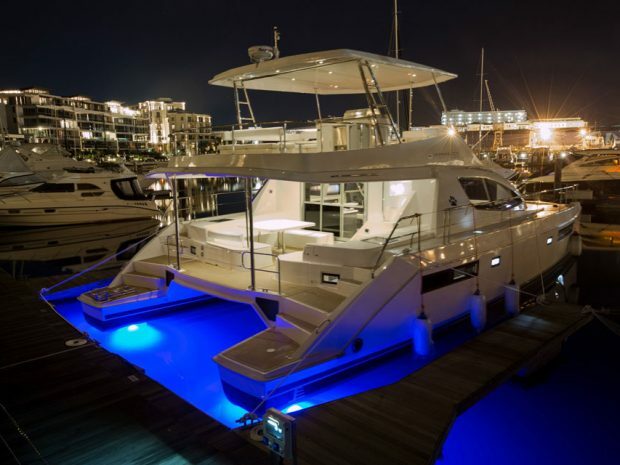 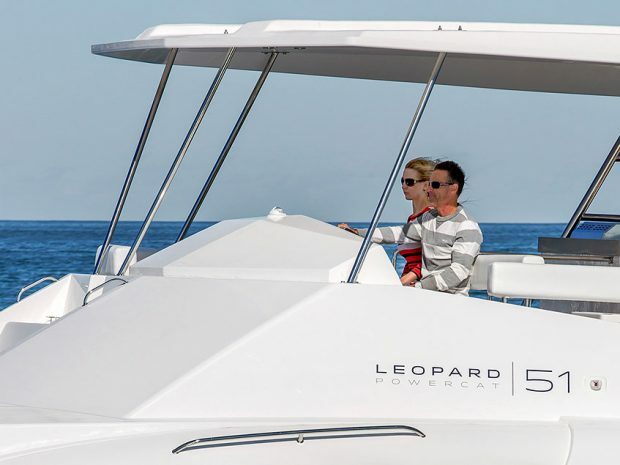 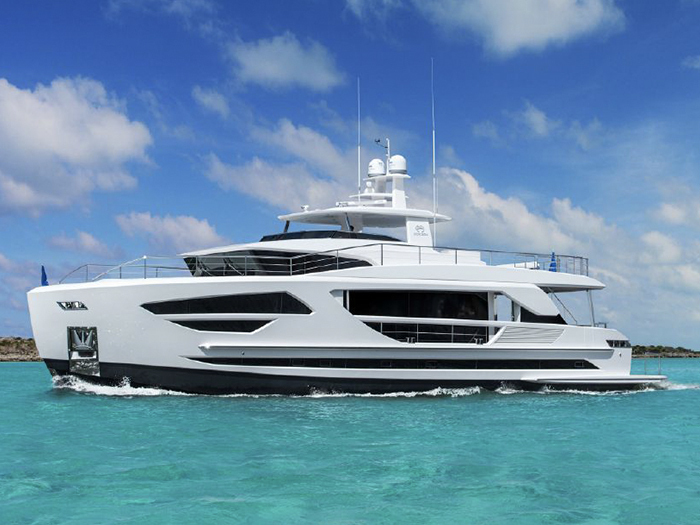 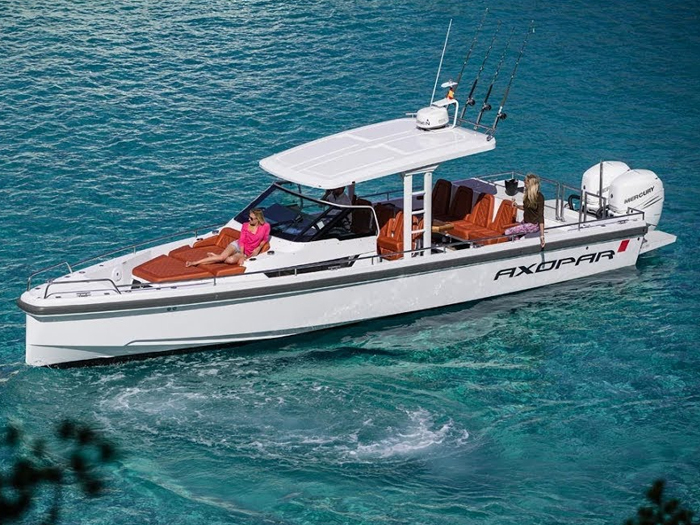 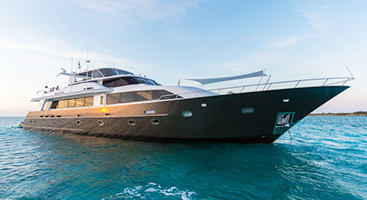 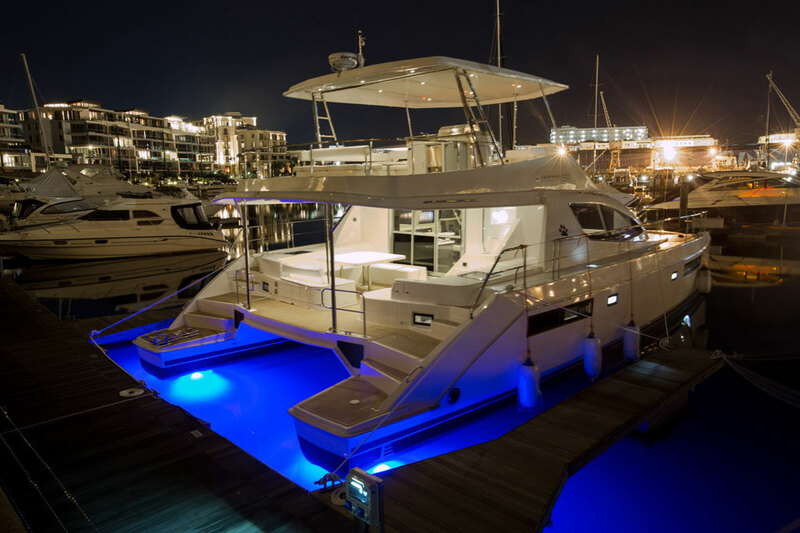 The Leopard 51 Powercat is the perfect option for a day charter with friends and family in the BVI! 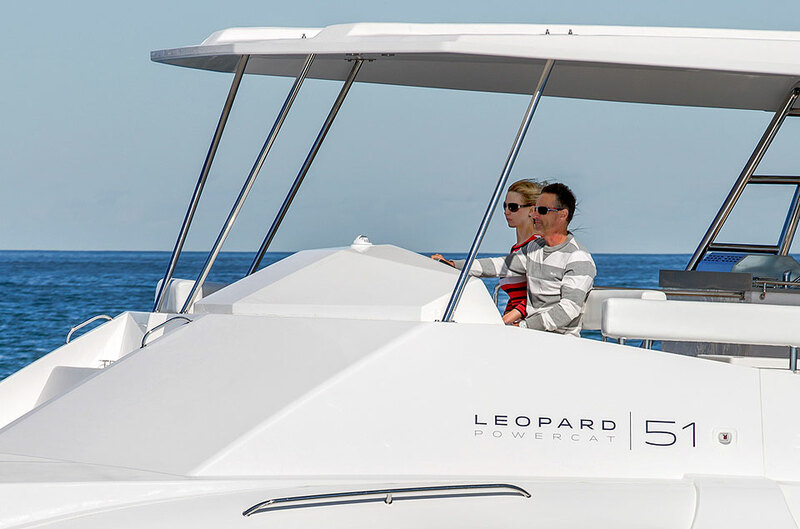 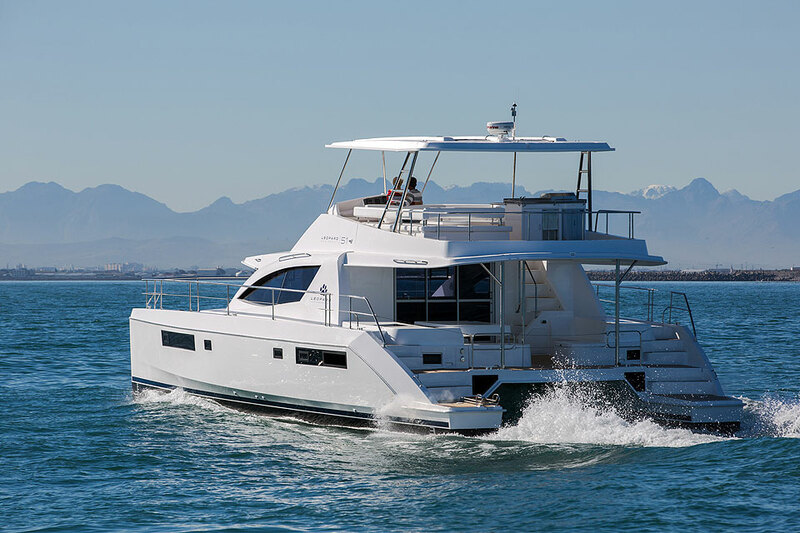 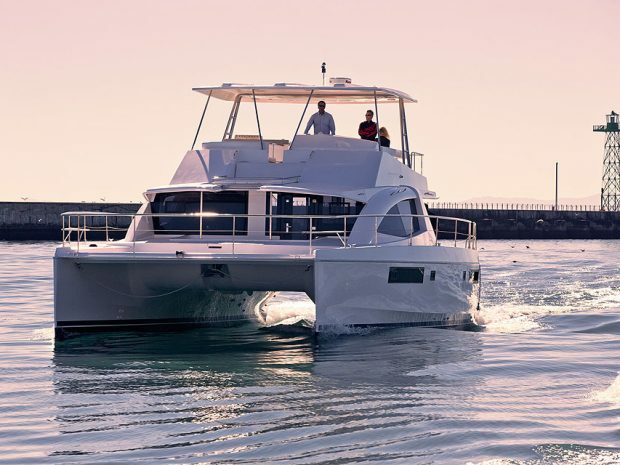 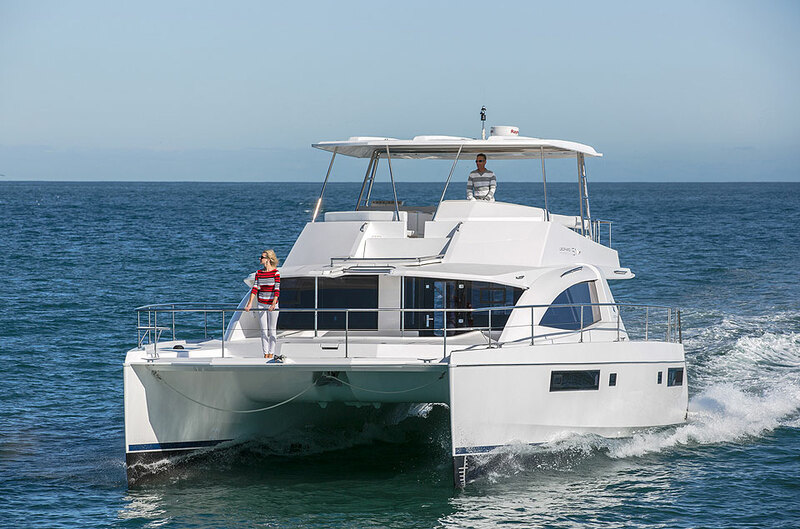 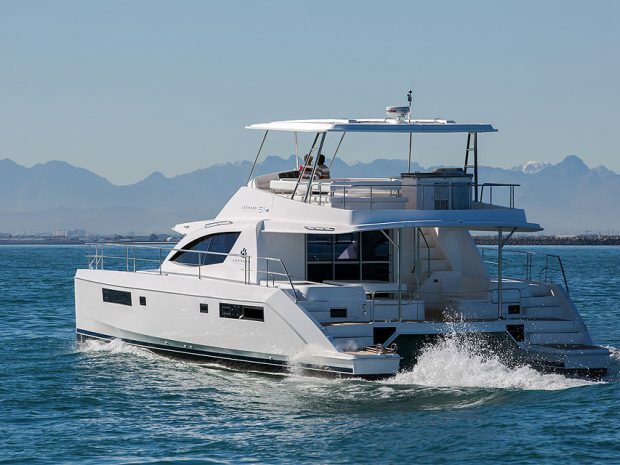 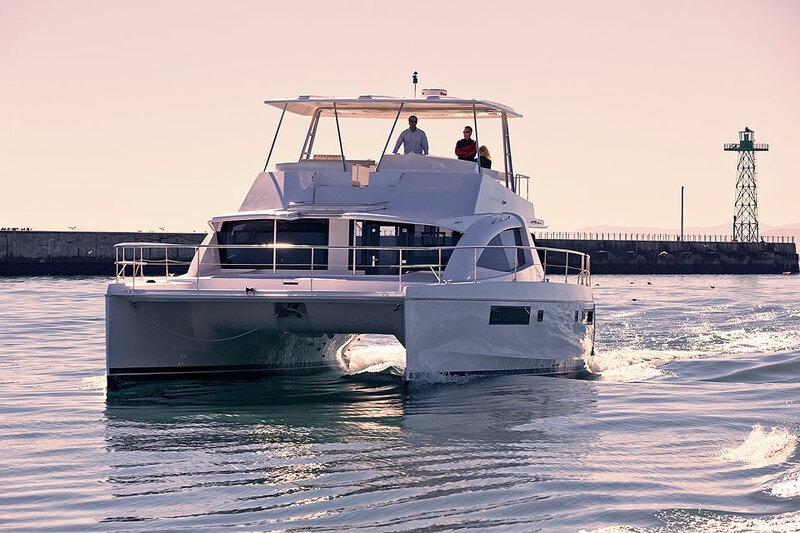 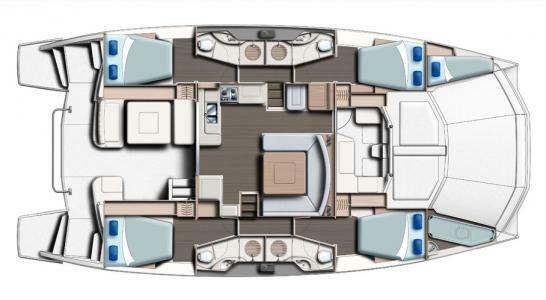 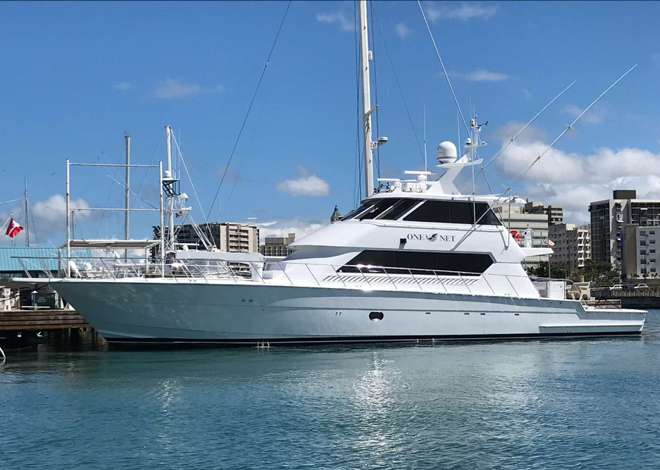 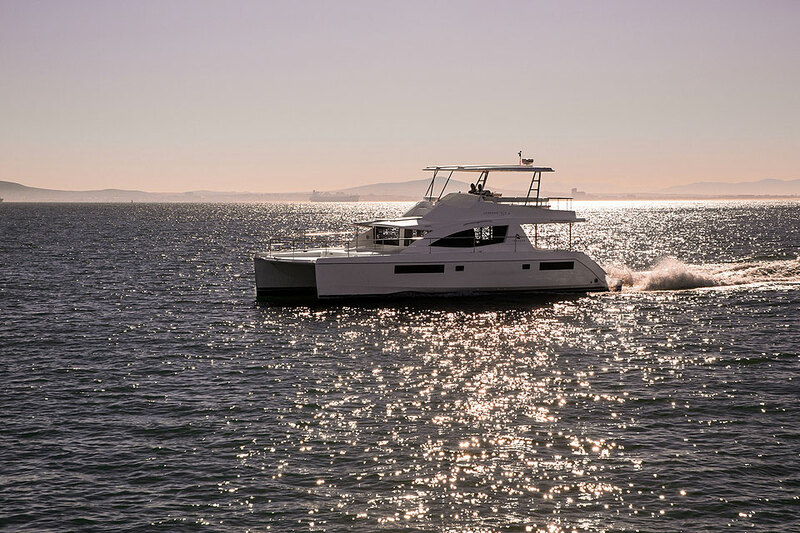 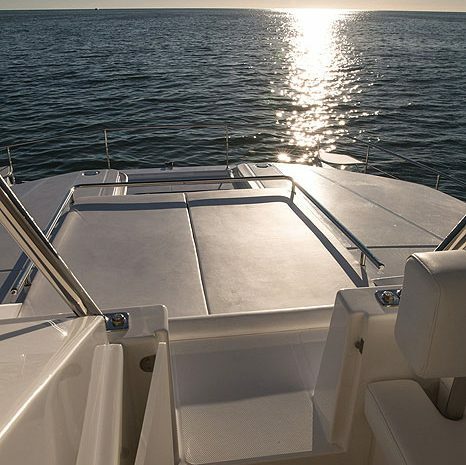 This powercat offers an expansive flybridge with plenty of comfortable seating for everyone in your group to enjoy while cruising to the best islands and beach bars! 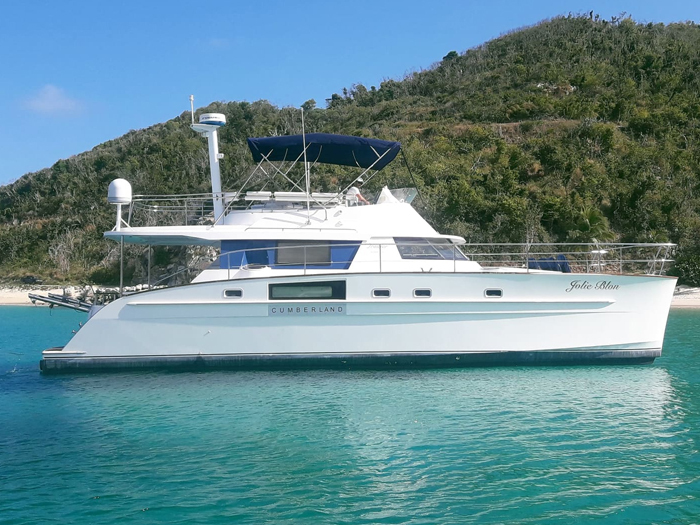 If you’re exploring the BVI from a cruise ship or while staying in a villa, a private day charter with is the perfect way see the ‘must see’ spots! 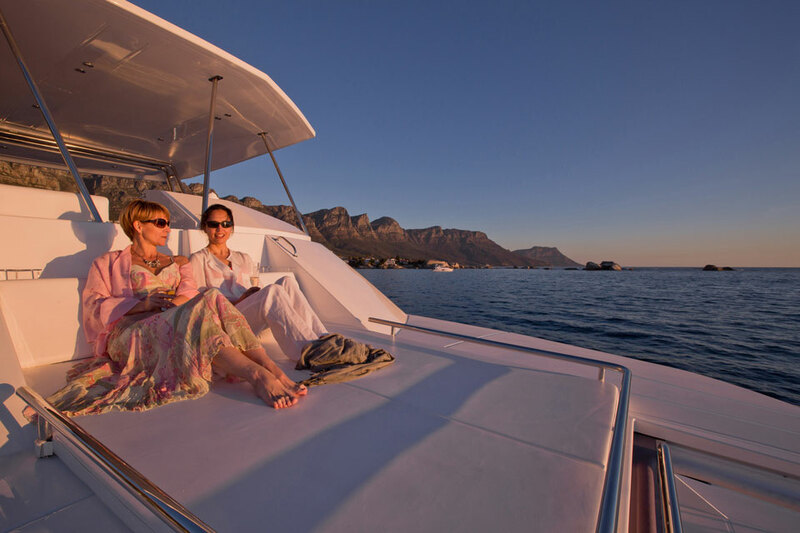 A day charter with Virgin Charter Yachts is always completely private, and totally customizable to the things you want to do and see. 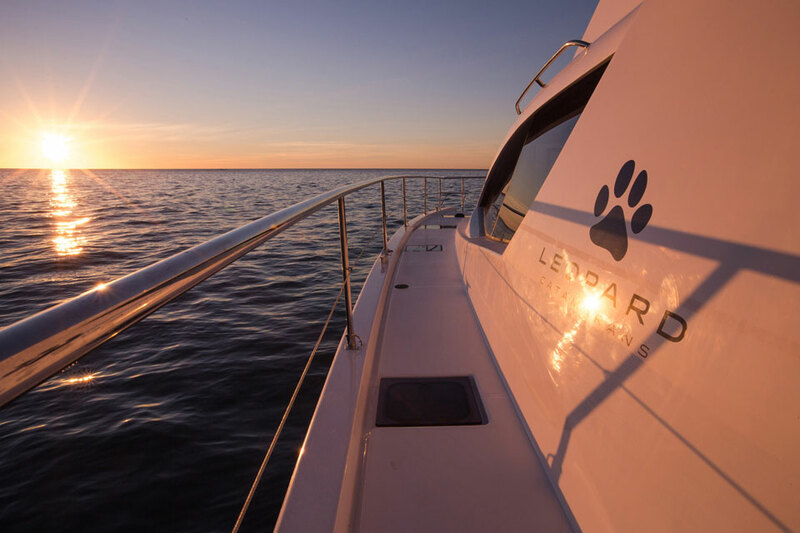 There is no ‘set’ itinerary, and our captains will also ask you at the start of your day if there are specific places you want make sure and see during your charter. 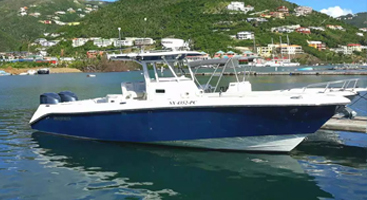 All our charters include a fantastic captain, fuel, cruising permits, snorkel gear and water, soda and beer. 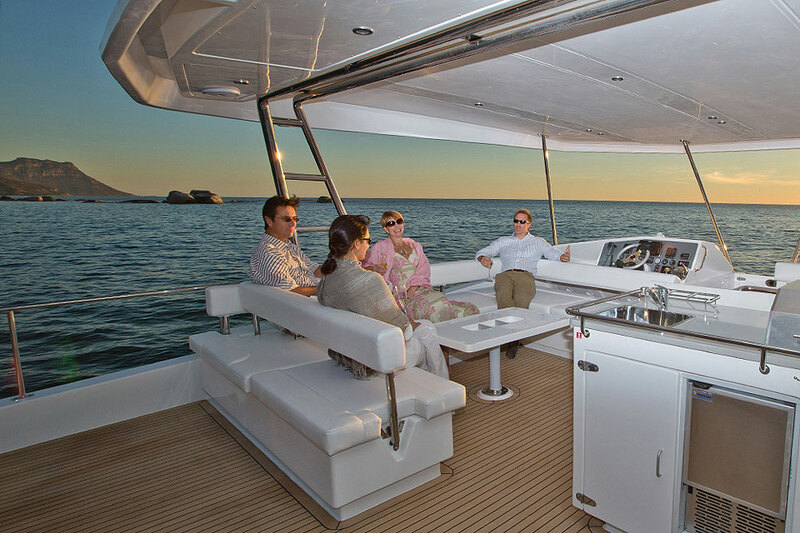 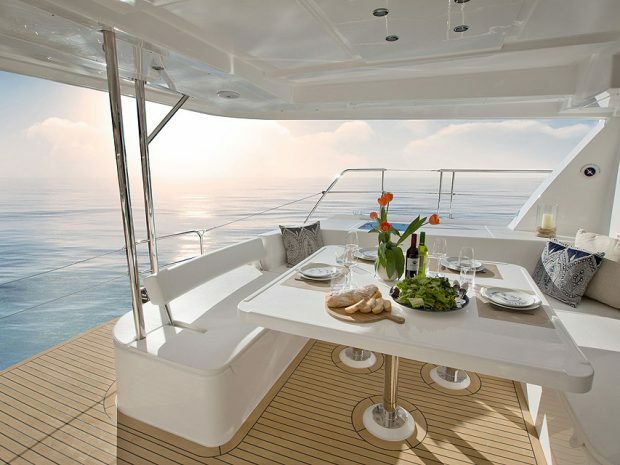 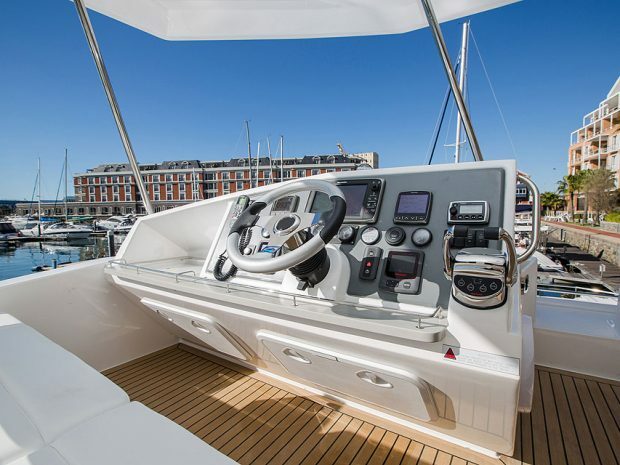 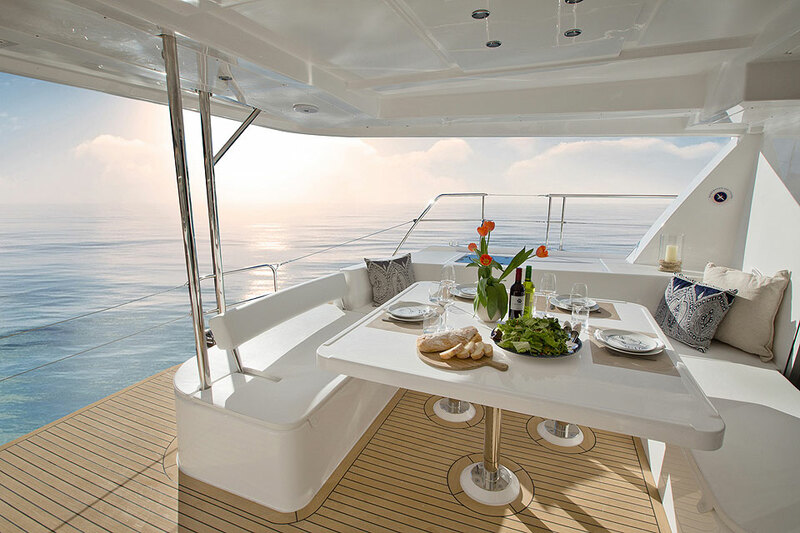 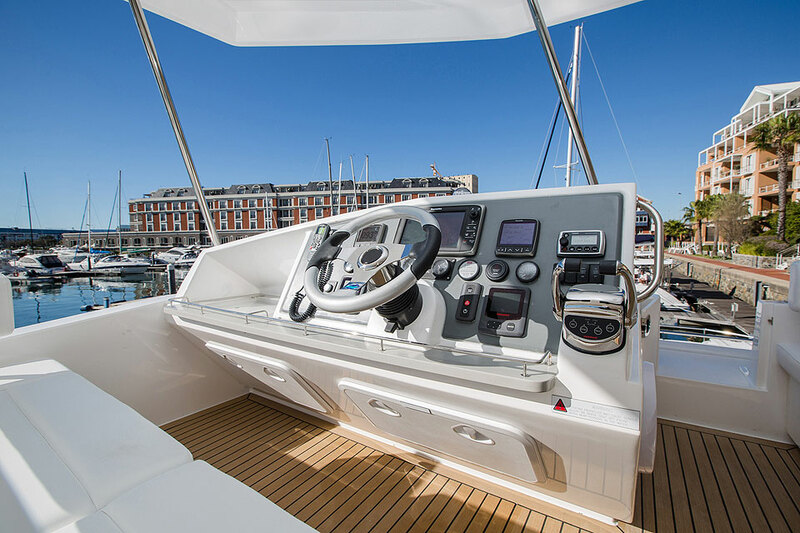 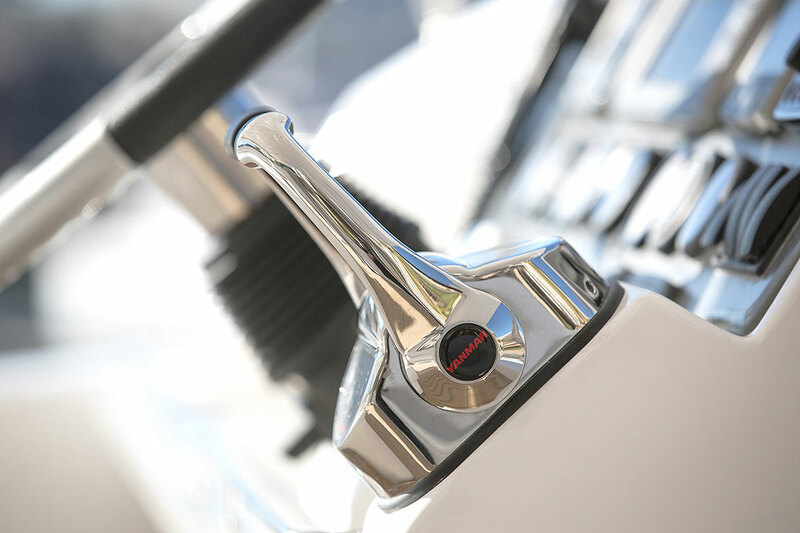 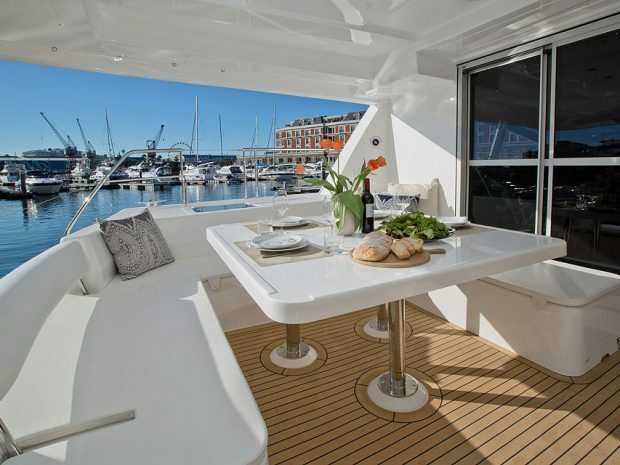 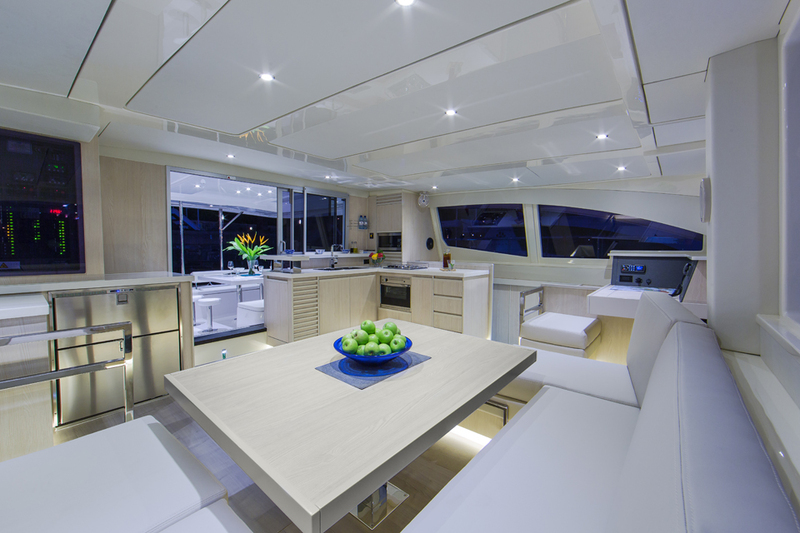 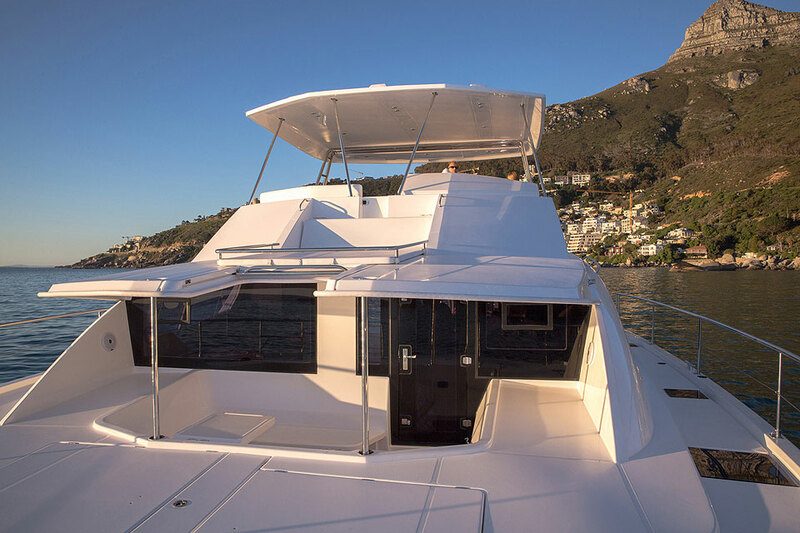 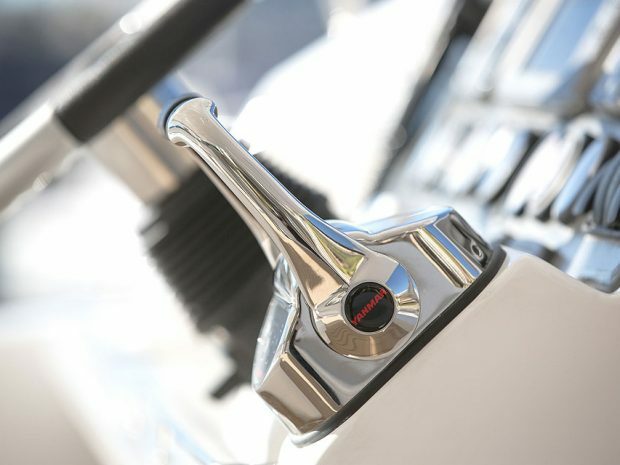 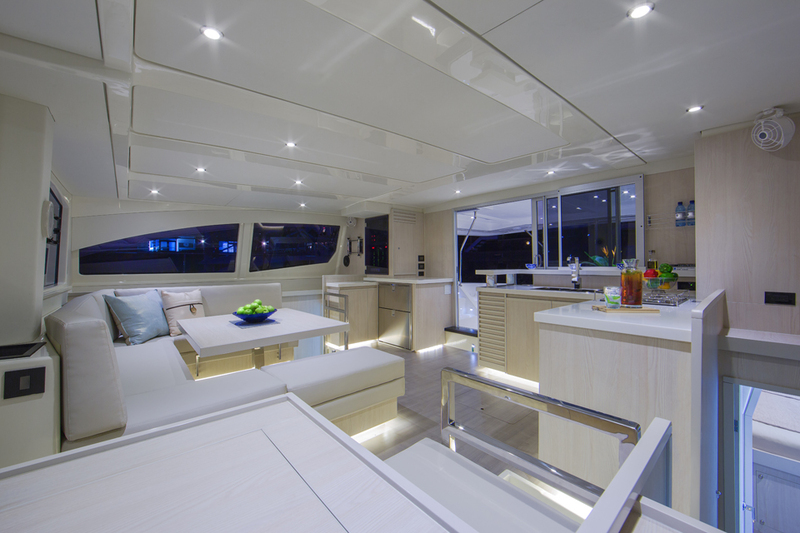 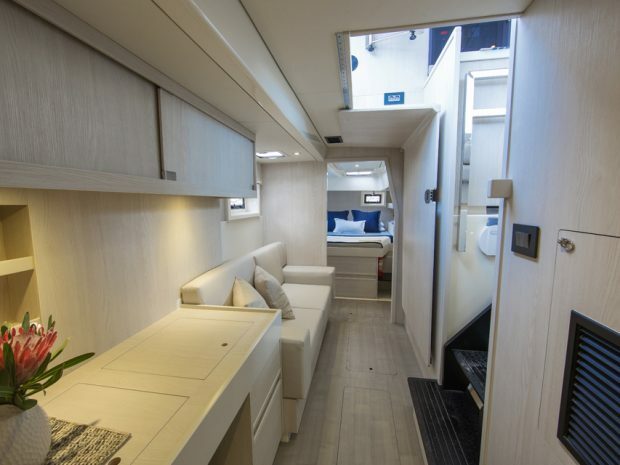 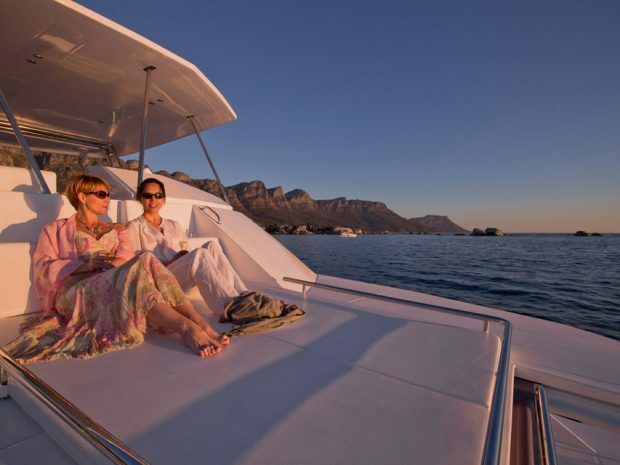 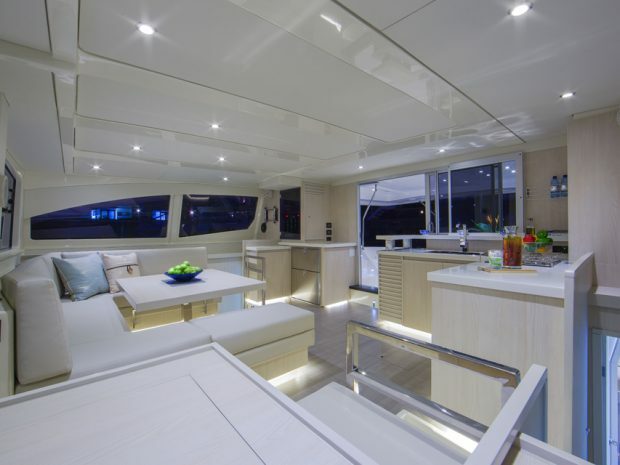 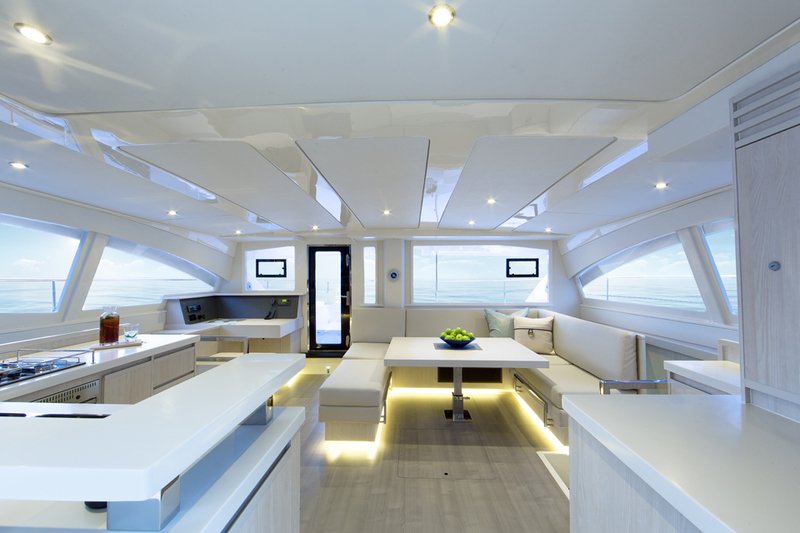 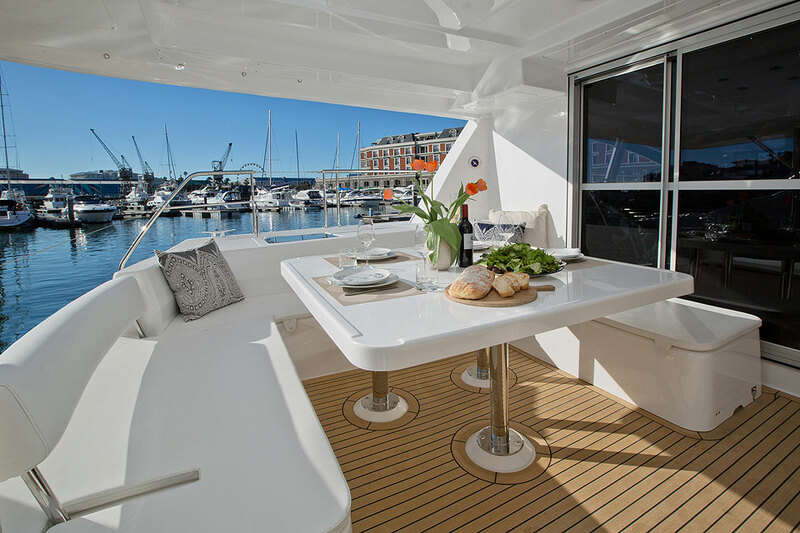 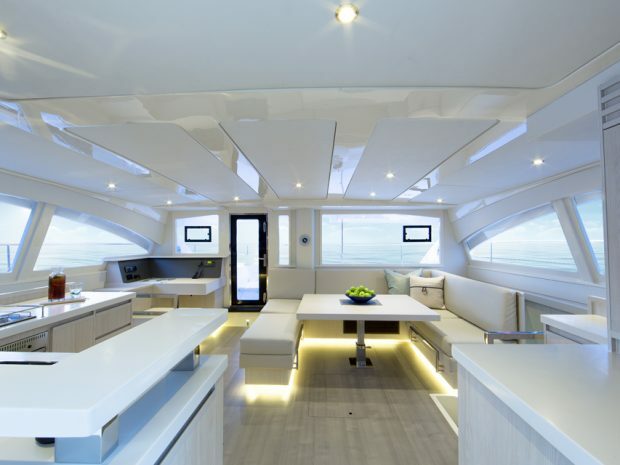 On our larger yachts, like the 51 Powercat the rate also includes a full-time mate, morning and afternoon snack platters as well as a full bar. 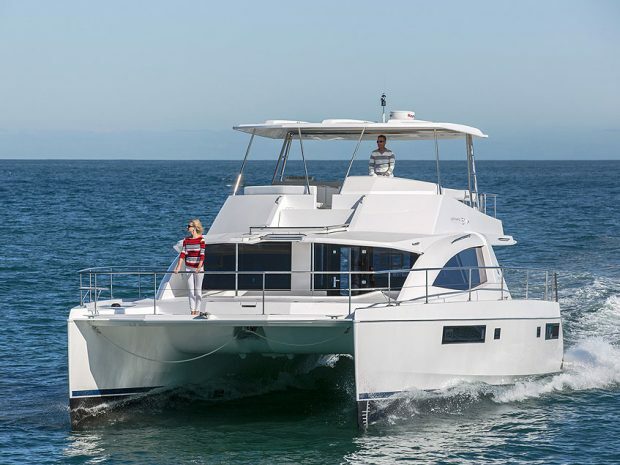 The 51 Powercat is the perfect choice for a group of family or friends who want to enjoy a fun and comfortable day on the water. 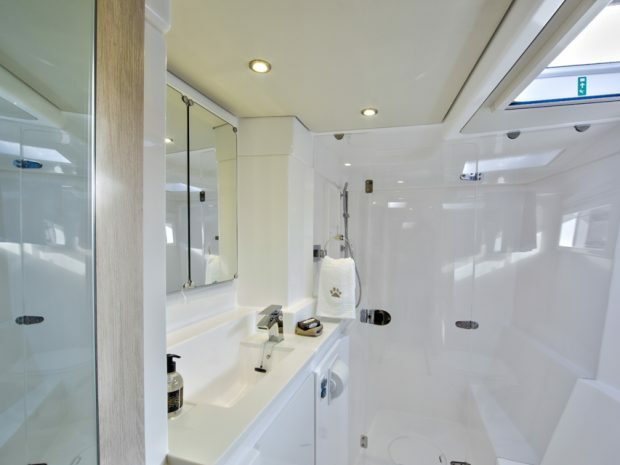 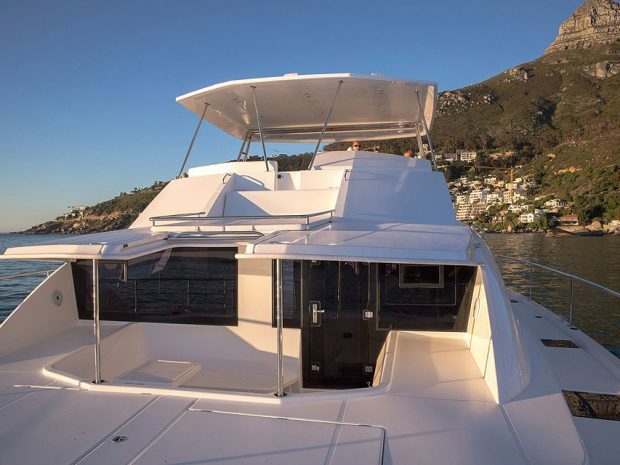 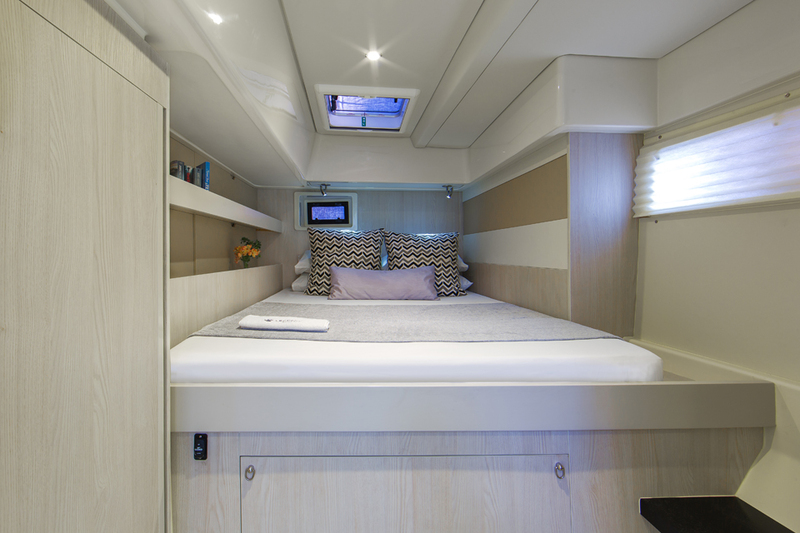 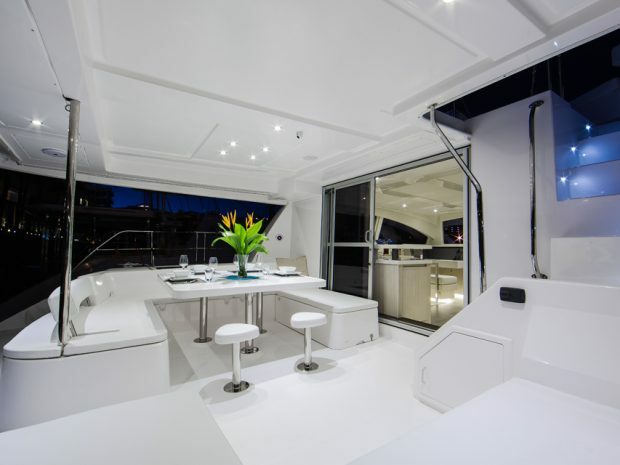 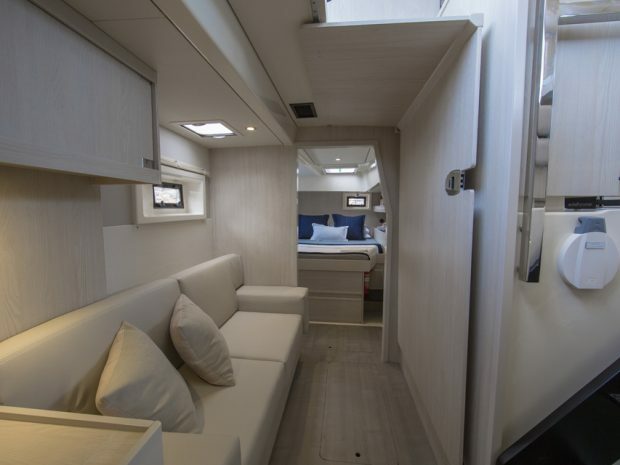 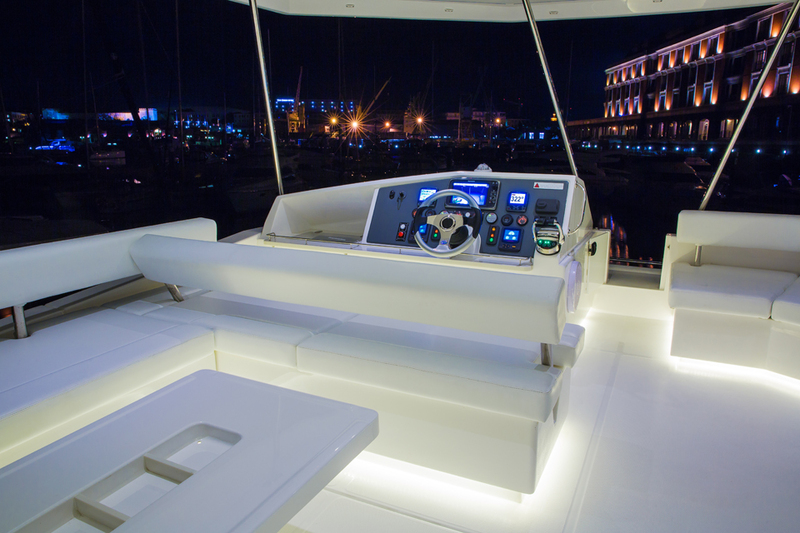 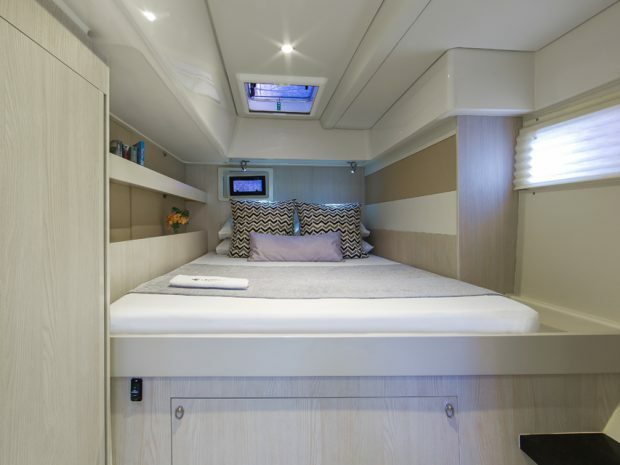 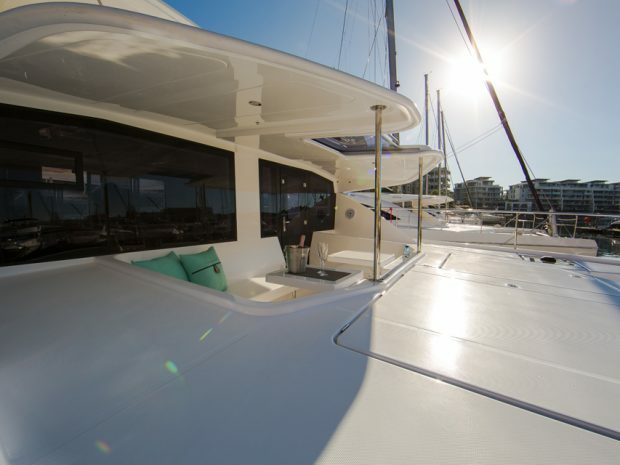 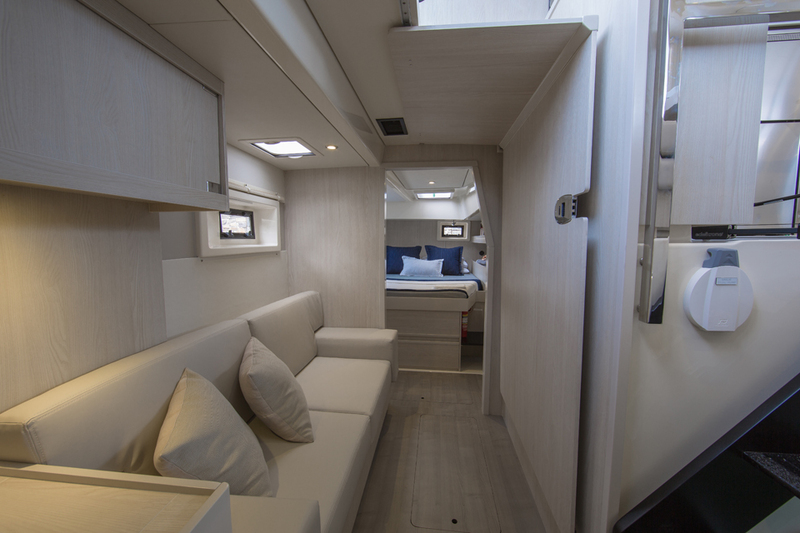 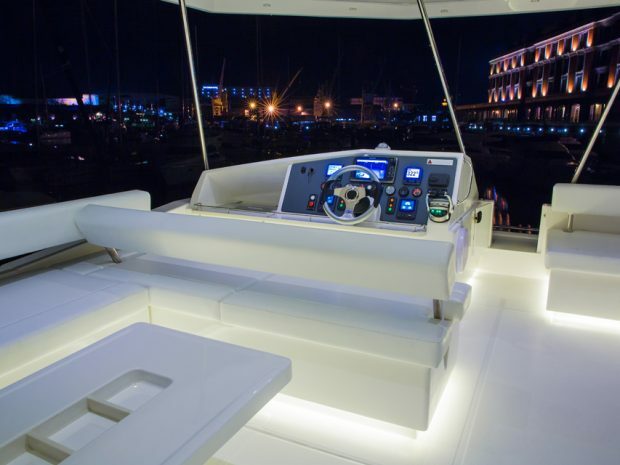 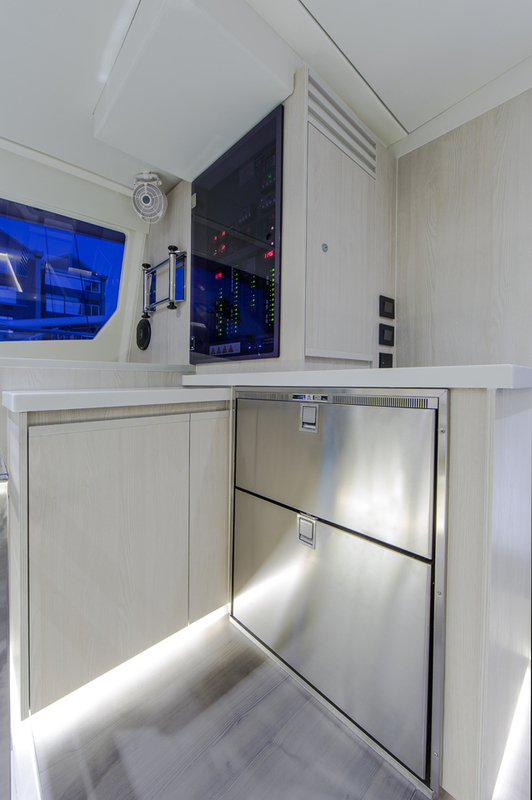 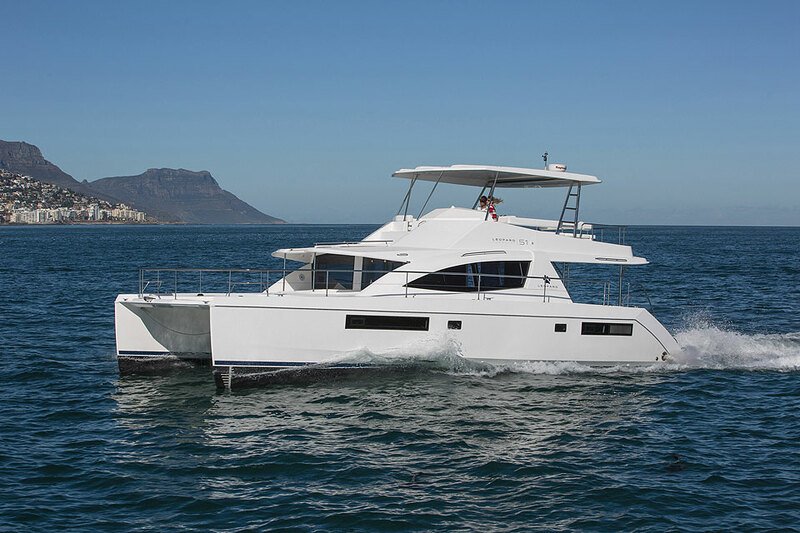 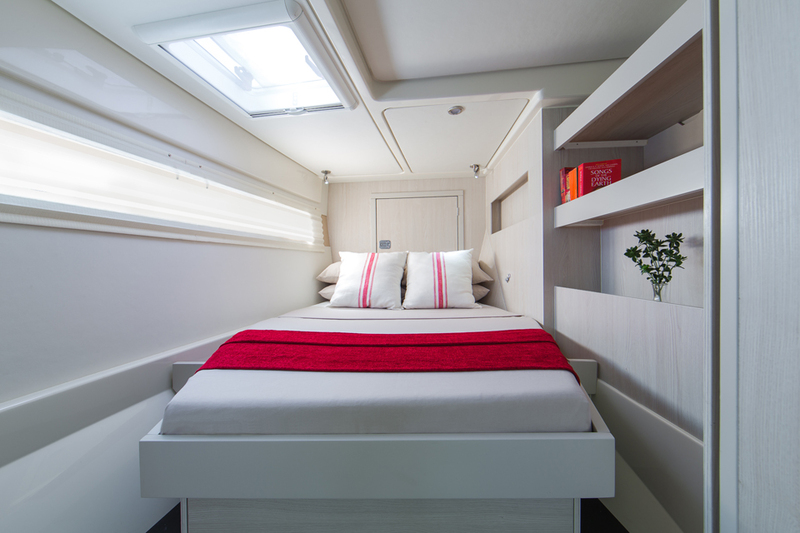 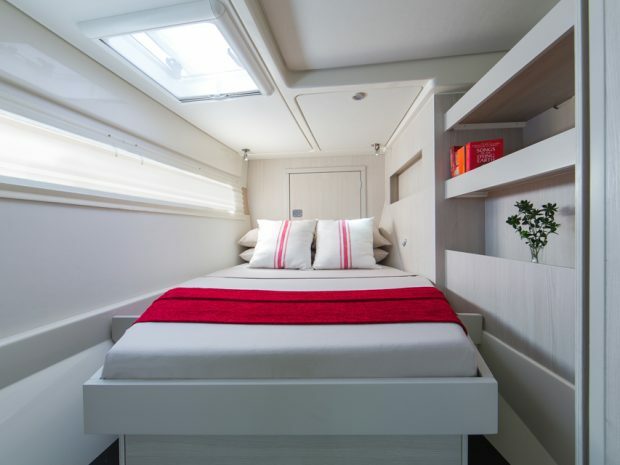 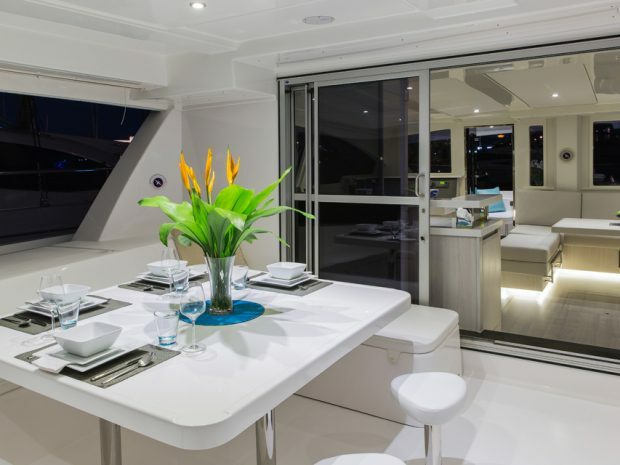 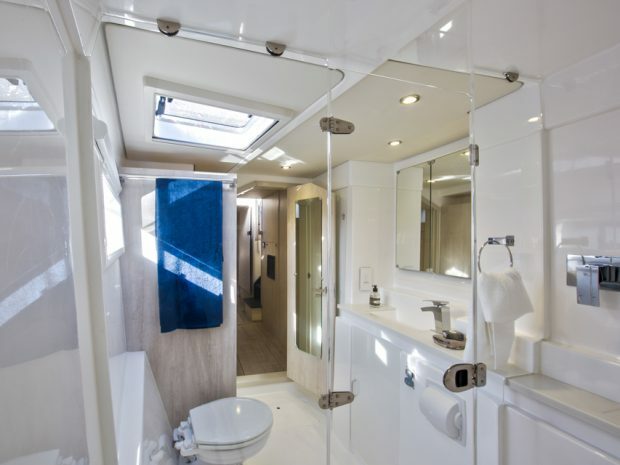 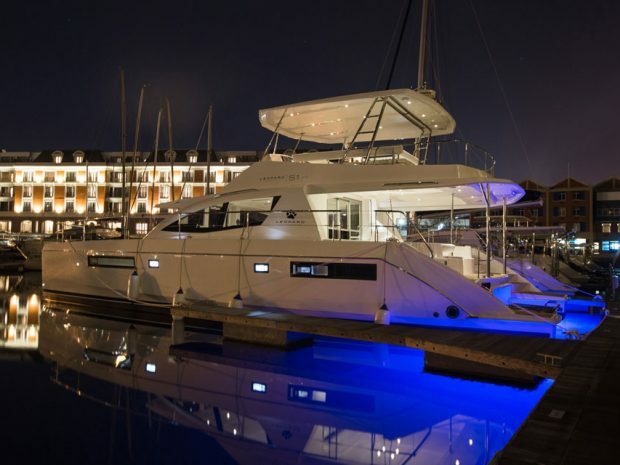 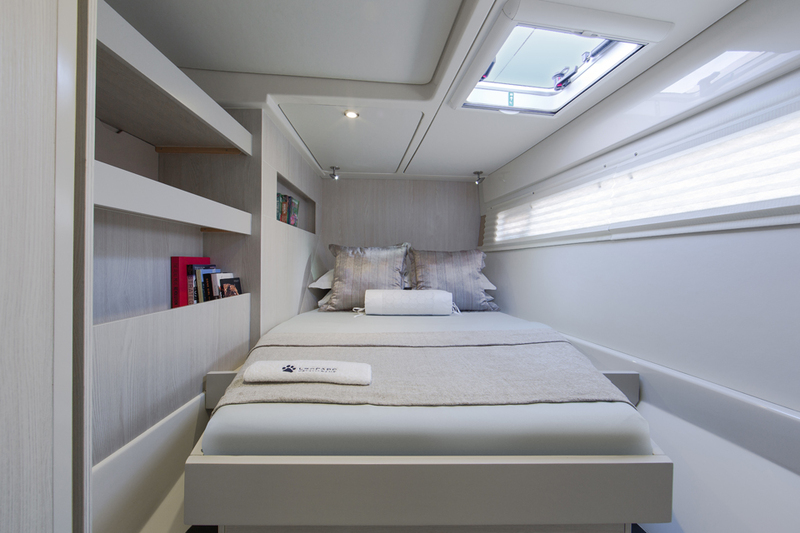 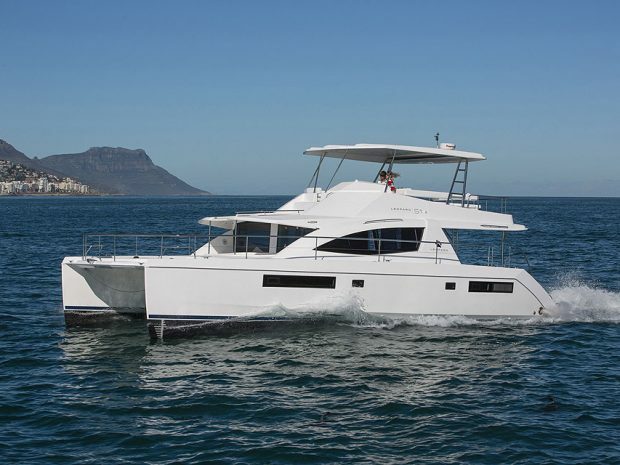 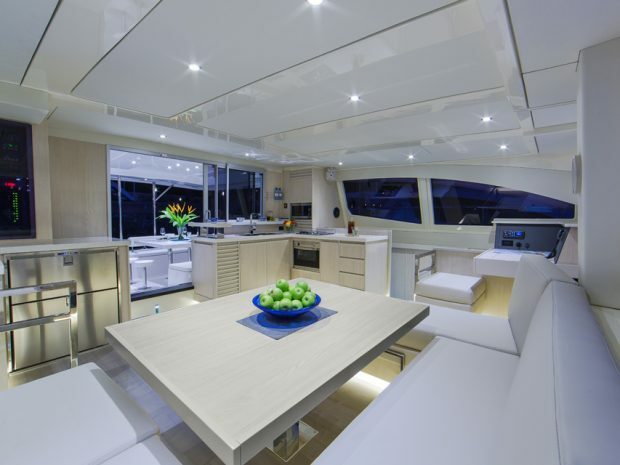 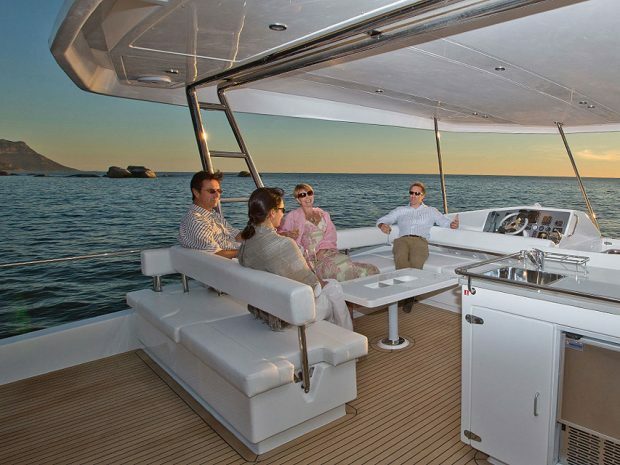 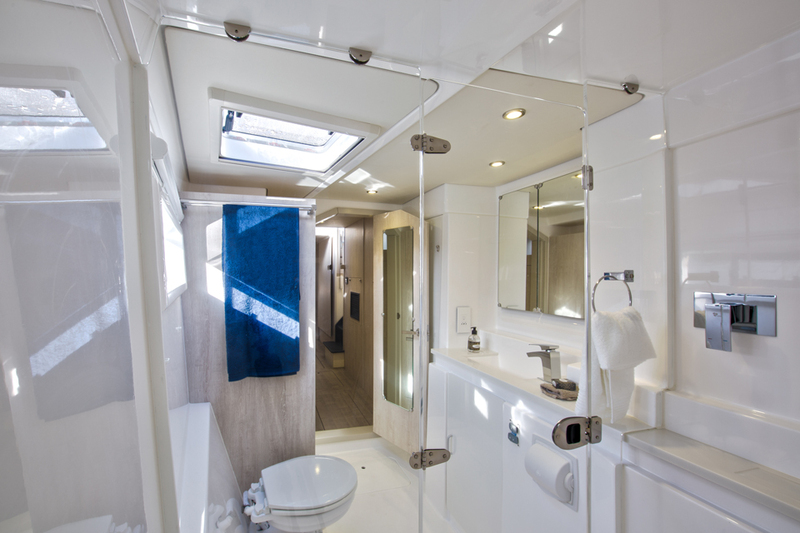 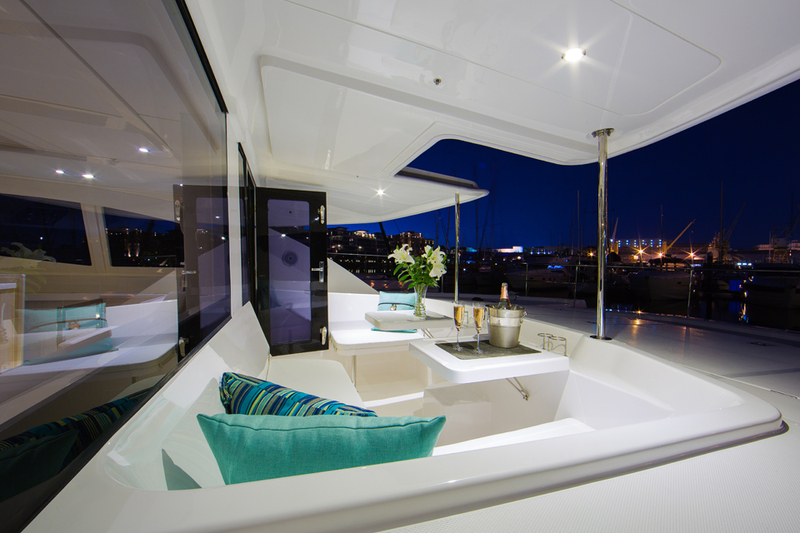 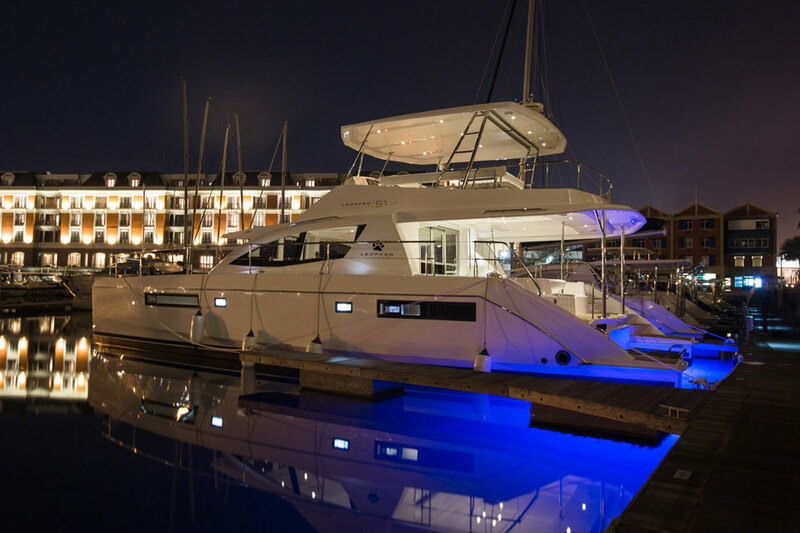 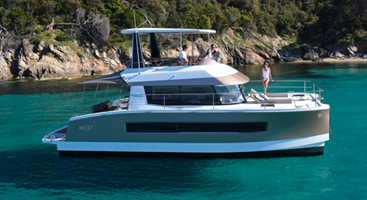 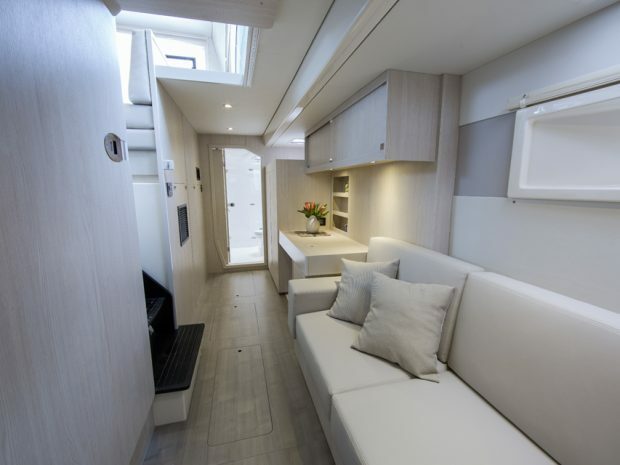 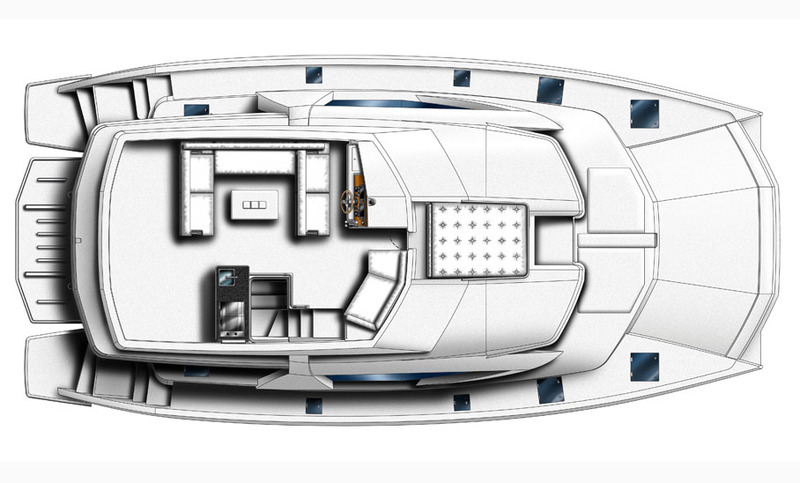 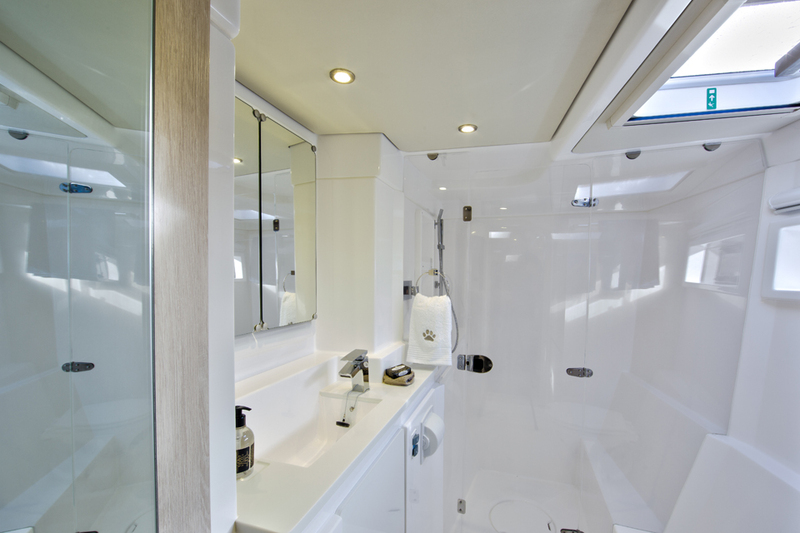 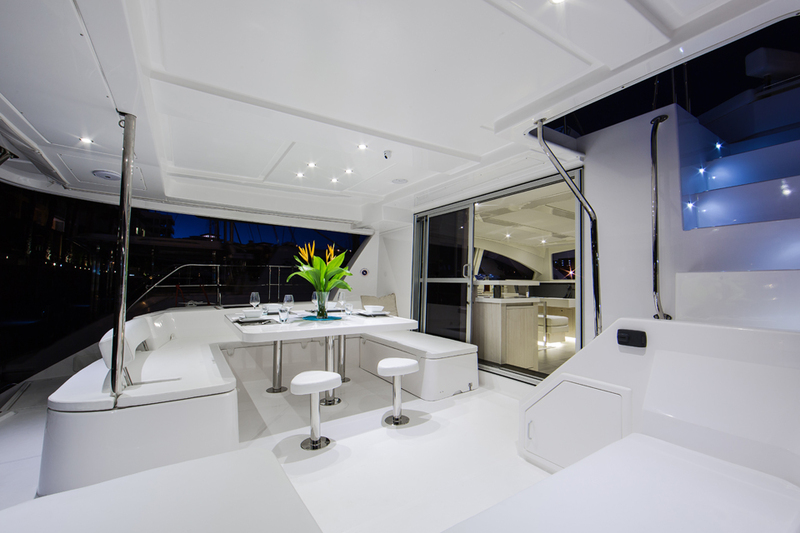 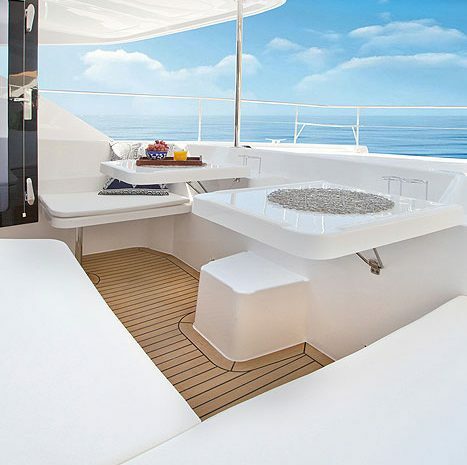 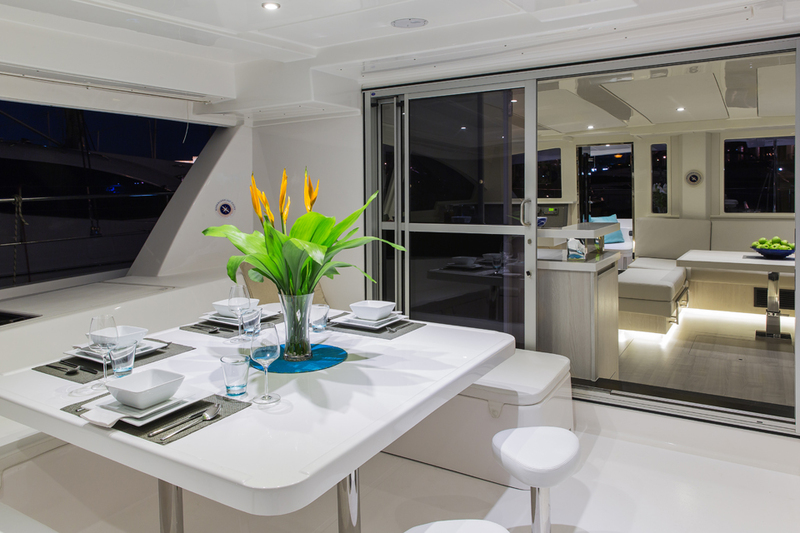 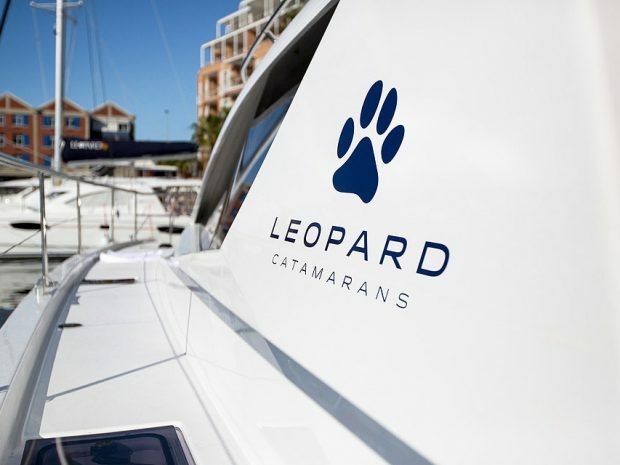 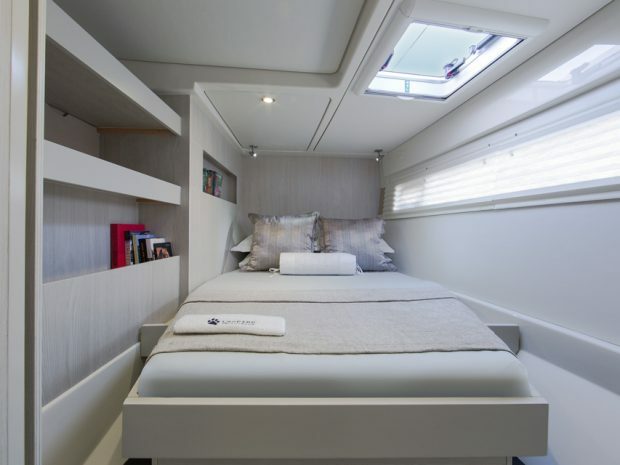 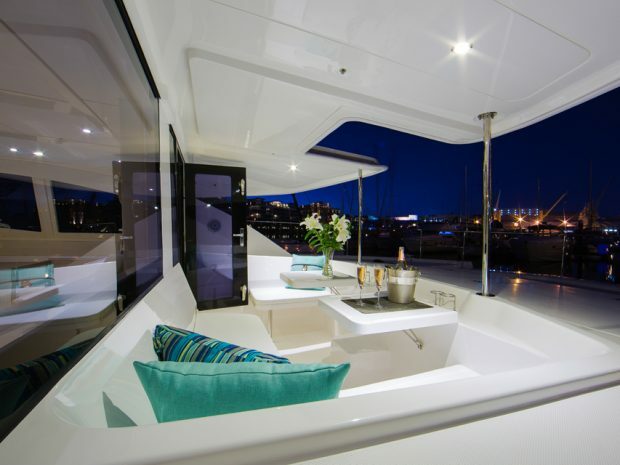 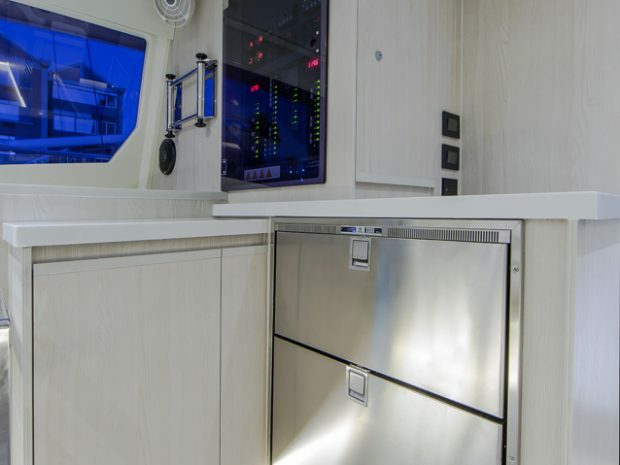 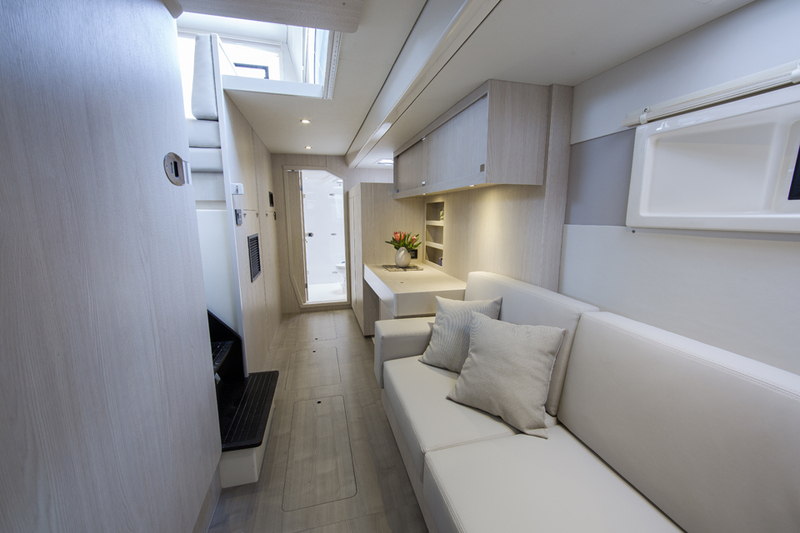 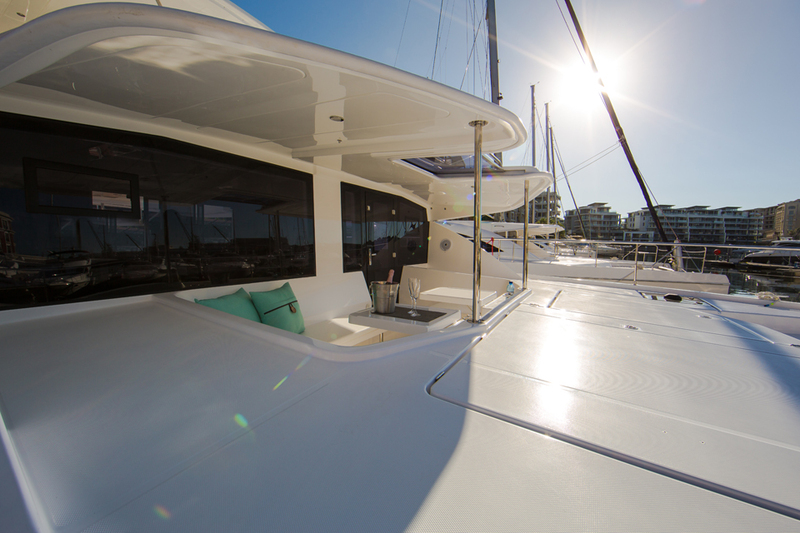 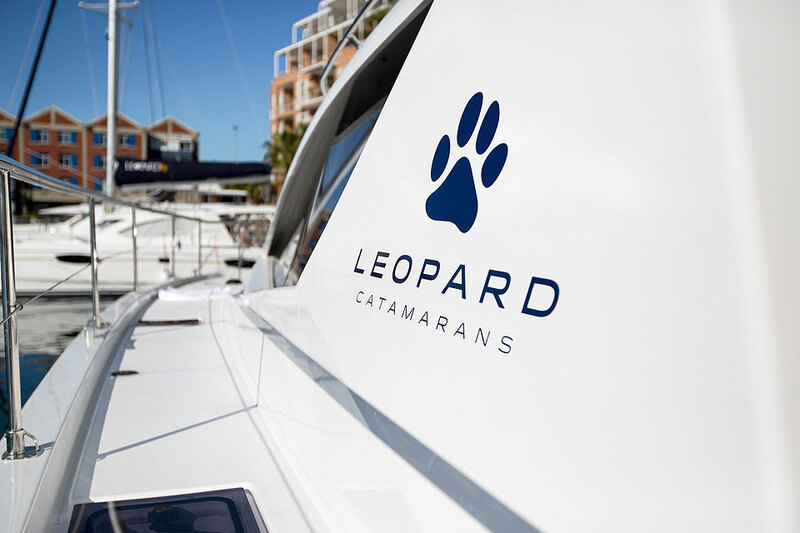 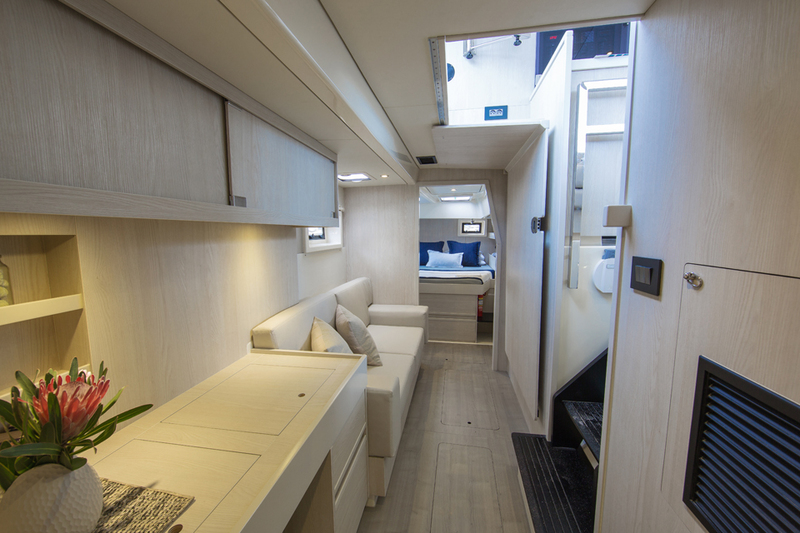 The catamaran design is inherently stable, offering guests a smooth and comfortable ride. 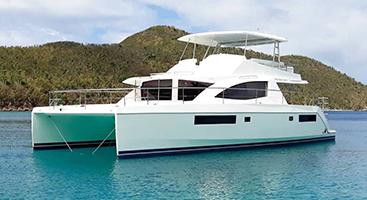 With a cruising speed of ~ 15 knots, you will be able to see all the best spots the BVI has to offer during your charter. 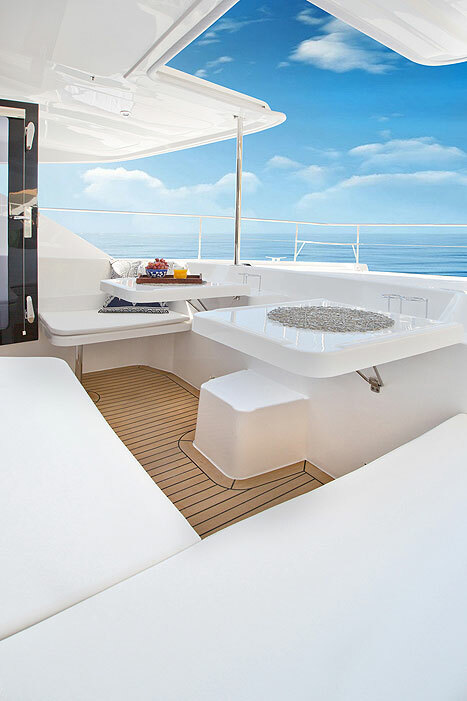 Relax the day away in the spacious comfort of this innovative fly bridge, which features an elevated sunbathing platform and large U-shaped seating and table to accommodate all your guests. 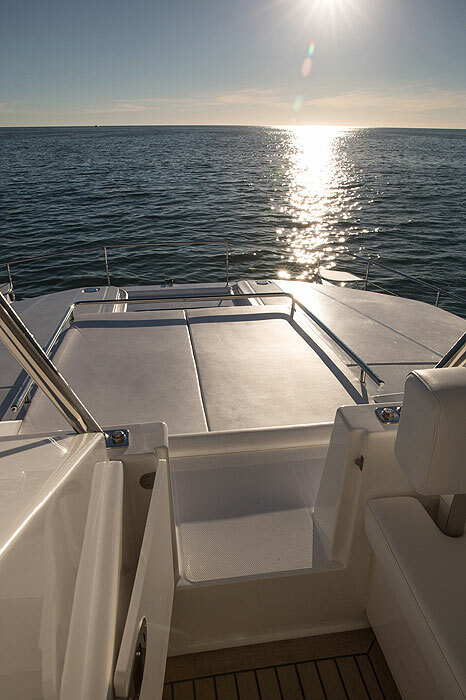 Enjoy the modern conveniences of a built in stainless steel propane grill, refrigerator, and wet bar all on the flybridge. 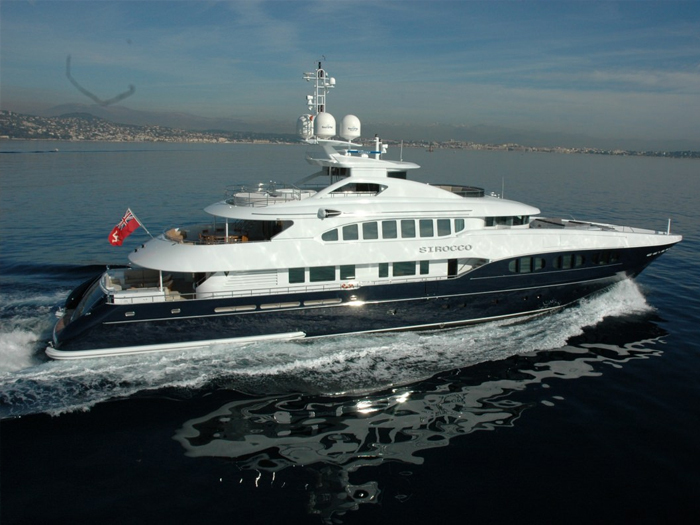 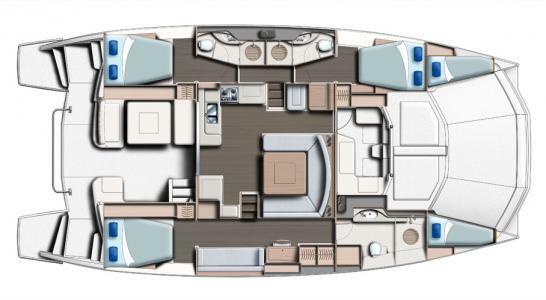 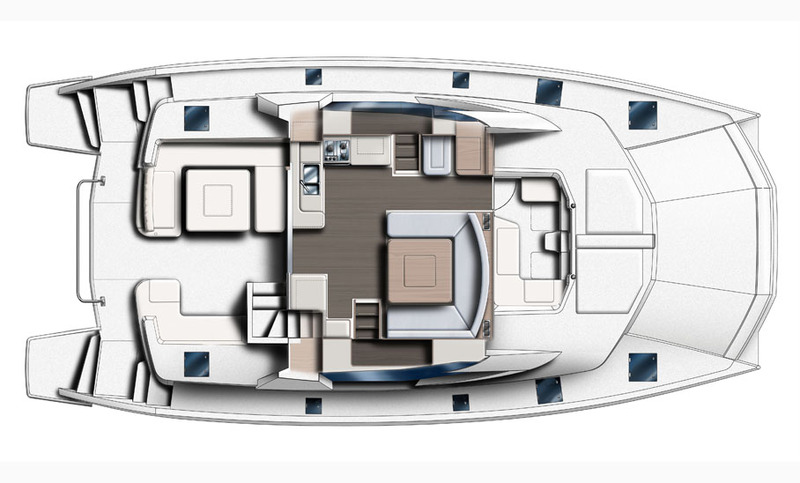 Below you’ll find a roomy and air-conditioned interior centered around an open-concept main saloon with a panoramic 360-degree view of the surroundings and plenty of table space for entertaining.